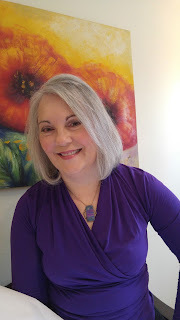 Today I welcome Laura Langston, multi-published author of picture books and novels for kids and teens. I met Laura through the Romance Writer's of America many years ago (I think almost 12 years ago!) and our paths have criss-crossed over the years bringing us to what we are today - writing colleagues and friends. I write books for teens and kids as Laura Langston and books for adults as Laura Tobias. I’ve always written and I decided to be a writer when I was in Grade Four. But I didn’t know any writers and wasn’t sure exactly how to turn writing into a career that would pay the bills so I became a journalist. I wrote news articles and radio documentaries and did a lot of reporting, but when my first child was born everything changed and I decided to follow my passion for storytelling. In terms of what I write, I gravitate to subjects I feel strongly about or that mean something to me, whether it’s a theme or subject or even a setting. Sometimes I’m inspired by a person I meet or an event that happens to someone I love. In a lot of ways, my career trajectory has followed my children’s growing up years. When they were tiny I tended to write more picture book manuscripts because I was immersed in the concerns of pre-schoolers. As they grew, my books got longer and more complex. Part of that was my personal growth as a writer but some of that was undoubtedly influenced by my children. I go by the JDI process. Just do it. Writing is my full time job and I treat it as such which means I’m at my desk five days a week with occasional stints of night shifts if things are percolating or if I’m on deadline and need to catch up. On days I work out of the office (usually one day a week) I definitely put in more hours at night or on the weekend. I have both a treadmill desk and sit down desk in my office and I go back and forth between the two. Walking and writing work well for me. It seems to free the muse. Do you have a favorite background noise you like to have going while you write (TV, Music, kids playing)? I like quiet when I write! And I don’t often get it these days because I have two Shelties (Team Sheltie) who like to be in the office with me and I haven’t the heart (or backbone) to lock them out. They’re very vocal. As well, our house is on the small side and my office, by necessity, is in the middle of the action which I find distracting. So the more quiet I get, the better. Do you have a favorite snack you have while writing? I guess I’m boring because I never eat when I’m working. I drink a cup of coffee in the morning while I check email and I usually have herbal tea after lunch. That’s it. I generally juggle multiple projects in varying stages of completion. Right now, I’m writing my next Laura Tobias title in the Girls Who Dish Series and I’m plotting a YA novel tentatively titled A Lesson in Song. Do you have a new release – immediate past or upcoming? Fifteen-year-old Megan Caliente prides herself on rallying for causes and standing up for the underdog. She’s the president of the school’s political science club and she likes to make her voice heard. 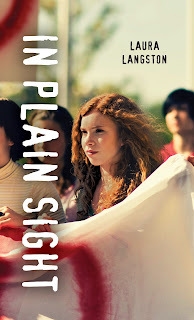 But when she learns the father she thought was dead is actually a convicted terrorist responsible for more than two hundred deaths, Megan is forced to examine everything she believes about being an activist. As she wrestles with her values, Megan faces humiliation and betrayal from friends, struggles with the guilt of knowing she carries her father’s DNA, and ultimately comes to accept that her father’s sins are not her own. What is one thing you would love to learn ‘one day’? It would have to be something to do with dance. To belly dance, to flamenco dance, to dance the tango. Maybe all three! What is your least favorite ‘adult’ task, and why? Washing the mashed potato pot. I mean, really! That stuff turns into cement before you even finish dinner. Who has an hour to scrub a dirty pot? Maybe that’s why we eat so much brown rice. So many it’s hard to know where to start. I’m an obsessive reader (I read 2-3 books a week). I practice yoga and in the summer I cycle. I’m a dedicated gardener and lucky enough to live in a mild climate where I can get outside 8 or 9 months of the year. Our yard is crammed with hundreds of fruits, vegetables, flowers and herbs, and many of the plants I’ve started myself from seed. The garden is not only restorative but practical too. I’m also hugely interested in mystical arts so at least once a month I’ll attend lectures on everything from crystal healing to animal communication. Have you travelled – even if in your own province or state – and what was your most memorable/favorite destination? Travel is hugely important to me. I think seeing the world is one of the best educations you can have. It’s impossible to pick one favorite or memorable destination. Before we had our kids, we traveled for five months in Europe and Russia. That was incredibly memorable and something we’ll do again when family and work obligations lessen. After the kids came along, we spent a lot of years camping at Long Beach and Saratoga Beach and those memories still make me smile. I also took my daughter to New York when she graduated from high school. I had to be in Toronto for a family event so she came with me and we took the train to New York for 4 days. We had a lot of adventures, including narrowly missing a hostage taking! 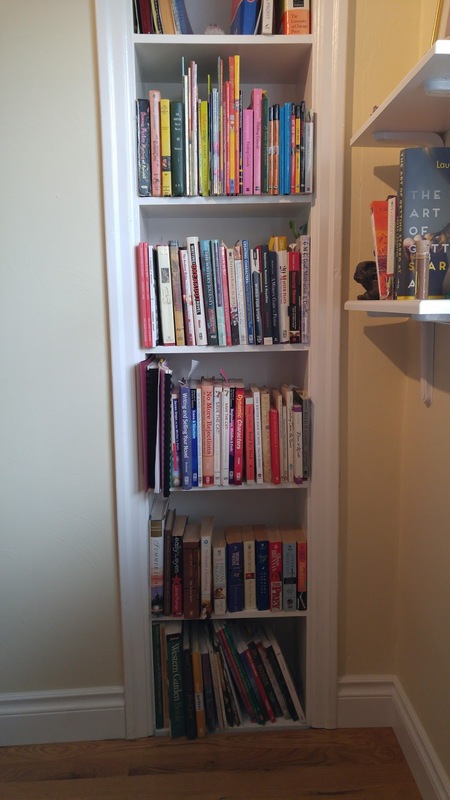 Do you have a ‘keeper shelf’ of books? What is your most re-read book and why? book. I re-read those fairly often. But that doesn’t stop me from keeping my favorite novels! Do you have any pets, currently or in the past? Did you have a favorite? I’ve had a pet since I became an adult, often two at a time. When we were first married we rescued two Pekingese puppies and they were with us for almost fifteen years. When our kids came along, we welcomed a Beagle and a feral cat into our house (the cat was in charge). And now we have Luna and Trace, our two shelties. I can’t pick a favorite. I honestly can’t. Interestingly enough, I’m not a cat person; I’m actually quite allergic to them (which made having a cat problematic, believe me). But I became quite attached to our lovely cat and really grieved when she died. Sometimes early in the morning as I’m just waking up I’m convinced I feel her jump up on the bed to greet me like she did when she was alive. If you had a ‘spirit animal’ what would it be? I have one! The owl. Owls seem to be appearing all around me lately, including in our back yard. I’m convinced he’s trying to tell me something. Do you have a special trick or talent? Reading people’s minds. It’s my super power! Thank you so much for letting us into your world, Laura. I wish you much continued success in your writing, and when I see an owl I'll think of you! Bev nods. “That’s exactly what I’m saying.” Her dark eyes are grave and unblinking. I think of Mom’s paranoia every time she saw a cop. Her unease around my friend in sixth grade whose parents were both lawyers. The way that lieutenant looked at her earlier today. The guilty flush on her cheeks when she told me everything would be fine. And, like toxic smoke slowly rising in a house fire, the truth starts seeping through the cracks of my disbelief. “To protect you,” Bev says simply. Thanks so much for hosting me, Lisa. I had fun answering your questions! Thank YOU for being a guest here, Laura! Always great to hear more about other authors! Good interview, and even though I'm definitely not a young adult, In Plain Sight sounds darned interesting to me. Oh, and so does seeing Laura "flamingo" dance!! Thank you for visiting, Leigh! And flamingo, flamenco - all very beautiful! :) My error - fixed it :) Thank you!